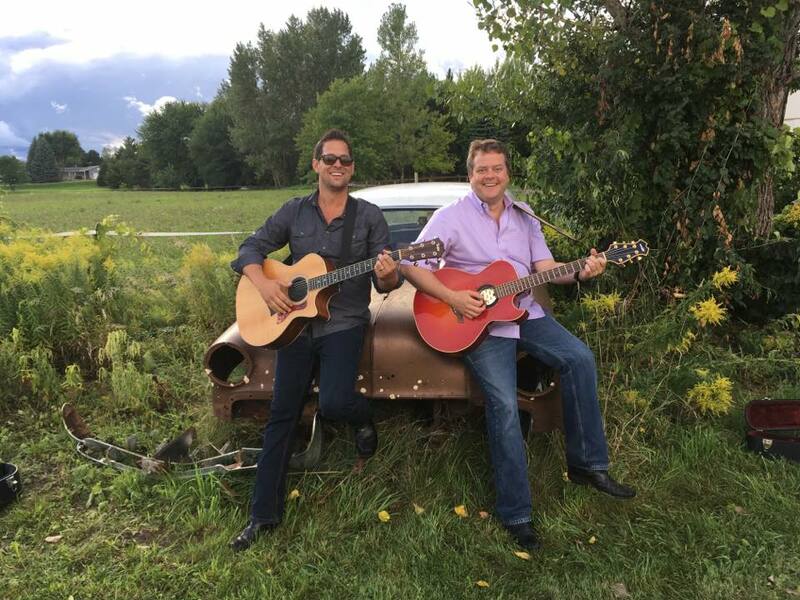 TRICK is an Acoustic guitar and Vocal duo made up of Todd Epley and Rick Blomquist. They play a wide range of music from The Rolling Stones to Coldplay and have 200+ songs in their song book. They like to incorporate a song list that the audience can pick from, so every night is different! Todd and Rick began their relationship back in November of 1998 when Rick joined the group LEEP 27. They have both played over 1000+ shows respectively and the number contiunes to grow. Todd has been nominated twice for "Best Vocalist of the Year" and Rick has been nominated four consecutive times for "Best Guitar Player of the Year" from the Minnesota Music Awards. Their 5 piece band LEEP 27 has won "Best Pop Recording" and "Best Pop Rock Band"
2 consecutive times from the Minnesota Music Awards. LEEP 27 has sold 20,000+ copies of their debut self titled CD and 10,000+ copies of their follow up CD "Silver". TRICK got it's start back in January of 2007 when Todd moved back from NYC. They had an itch for playing more intimate and personal shows, so they put together a song book and started to play out. Now, they play all over the Twin Cities area at local clubs, bars, private parties, corporate events, and weddings.